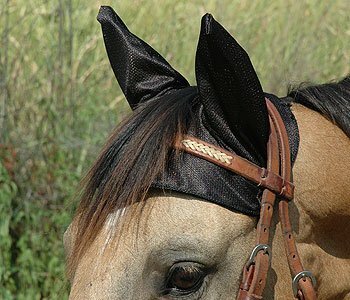 Help eliminate flies from irritating your horse’s ears while riding. Comfort Ears™ is made from a light, breathable sports-jersey nylon mesh that comfortably fits under the bridle to help keep your horse stress-free and to help prevent head tossing on the trail. There are no ties or knots needed.